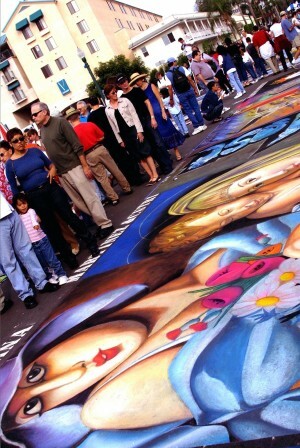 This week, Arts Month San Diego is highlighting the cultural neighborhood of Little Italy. Little Italy, located on the northern edge of the San Diego bay, is a vibrant neighborhood steeped in history and tradition. The area is well-known for authentic Italian restaurants and shops that stock Italian imports, but also boasts a nascent art and design district centered around galleries, design showrooms, and marquee arts and culture events. With galleries, antique shops, and home accessory stores Little Italy North (North of Grape Street) has been dubbed San Diego’s newest Art & Design District. Two popular galleries are Meyer Fine Art and The Andrews Gallery. Meyer Fine Art specializes in limited-edition prints and works on paper, ranging from pieces by Miró and Chagall to vintage Italian posters. The Andrews Gallery is an artist space that combines the roles of art gallery, creative studio and performance venue in one interactive environment. The Gallery focuses on solo-exhibitions of emerging and mid-career artists, as well as hosts musical performances, poetry readings, and other creative happenings. 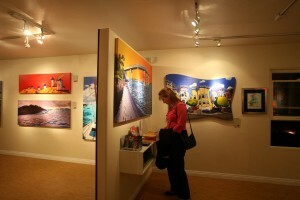 Insider Tip: Many of the art galleries in Little Italy have limited business hours, but will open by appointment only. Kettner Nights is a great time to explore the area and get a lay of the land. Little Italy hosts Kettner Nights and Festa, two signature arts events that offer fun for the whole family. Kettner Nights (Sept. 9): Discover the art, design and antiques on display and for sale in Little Italy during Kettner Nights, an art walk held the second Friday of every other month from 6pm to 9pm. 17th Annual Little Italy Festa (Oct. 9): Celebrate the romance of Italian culture with authentic music, fine foods and specialty crafts. Don’t miss the Gesso Italiano chalk art painting exhibition created by more than 150 artists in two days. During the whole month of September, visitors and locals alike can enjoy the vibrant local arts communities and help celebrate “Arts Month San Diego” with a variety of exhibitions and events taking place across the county. 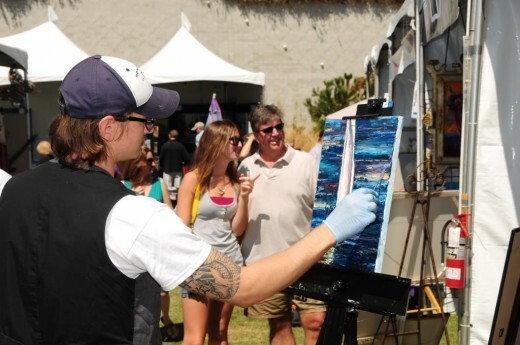 Held at new the Hilton San Diego Bayfront in downtown San Diego, the event showcases works by more 500 artists and 60 local and international galleries. In addition to the gallery booths, special features include curated exhibitions, contemporary furniture design displays, solo-artist exhibits, video-based works, live performance art, art in public spaces and a lounge designed by noted architect Jennifer Luce. An evening of art, design and shopping, this progressive exhibition is free and open to the public and offers the opportunity to stroll through all of the Kettner Art & Design District’s innovative galleries and cutting edge home design shops located in downtown San Diego’s Little Italy neighborhood. Complimentary beverages and hors d’oeuvres are served.